The criminal court has been periodically extending the remand detention of several boat blast suspects. Most of them, including Ahmed Ashraf and Hamid Ismail, are now detained on charges that are not related to the blast. The criminal court has extended Monday the remand detention of a teenage suspect arrested over the September 28 blast on the president’s speedboat for a sixth time. 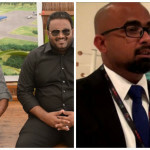 Ahmed Ashraf, a social media activist known as Shumba Gong and a close associate of detained Vice President Ahmed Adeeb, was arrested in Sri Lanka on November 1 in connection to the alleged attempt to assassinate President Abdulla Yameen. 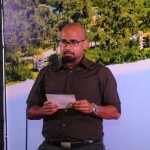 A reliable source told The Maldives Independent that although Ashraf was arrested on suspicion of involvement in the boat blast, the 18-year-old was interrogated for allegedly threatening Ahmed Zahid, a council member of the ruling Progressive Party of Maldives. “He is being accused of violating section 122 of the penal code, which relates to threatening and spreading of false news, but this is a misdemeanour, not a felony. There is no reason why a young boy must be incarcerated for months on end for this,” the source said. The offence carries a maximum jail sentence of one year. The court could alternately impose a fine for first time offenders. However, according to the informed source, the authorities are now threatening to charge Ashraf under the 2010 Threats, Assault Weapons, and Sharp Objects Act. The law prescribes penalties of up to 18 months in prison. Ashraf’s lawyer Nazim Sattar has also expressed concern over the continued detention. He is among eight suspects the government has declared a hunt for over the blast. All eight are Adeeb’s close associates. The Sri Lankan foreign ministry criticised the Maldives for presenting inaccurate information for Ashraf’s arrest. Authorities here had claimed that Ashraf lacked the proper travel documents. The criminal court has also been periodically extending the remand detention of other boat blast suspects, some of whom are now being held on other charges. 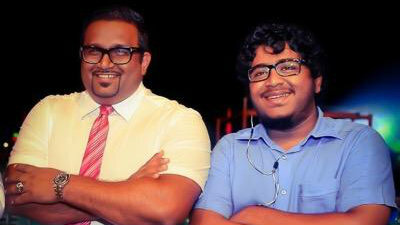 The detention of Hamid Ismail, an influential businessman related to Adeeb, was extended for a sixth time on Monday. Hamid was extradited from Malaysia in October on suspicion of links to the boat blast, but he was charged with money laundering in December and re-arrested. The money laundering charges relate to his alleged involvement in embezzling public funds from resort lease payments. 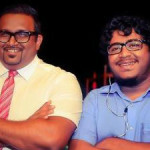 Adeeb and former managing director of the Maldives Marketing and Public Relations Corporation, Abdulla Ziyath, have also been charged with corruption over the scandal. They are being held in police custody until the corruption trials reach completion. On January 4, the criminal court also extended the pre-trial detention of three soldiers from the military’s Explosives Ordinance Disposal unit, who were the first suspects arrested in connection with the boat blast. Ahmed Jawaz along with Sergeant Moosa Zameer and Lieutenant Ahmed Thiham have been in custody since October. Charges have not been brought against the soldiers to date. Colonel Ahmed Fayaz ‘Papa,’ the former head of the military’s special protection group as well as the EOD unit and the armoury, has meanwhile been held in administrative detention at military barracks since early October. However, the defence ministry has reportedly denied that Fayaz is being held at a military facility. Fayaz’s lawyer Mahfooz Saeed has petitioned the prosecutor general to ask the criminal court to rule on the legality of his detention. After repeated requests to meet his client were turned down. Mahfooz also alleged that Fayaz is being questioned regarding criminal allegations against him, without legal counsel. One of the former president’s two bodyguards who were placed under administrative military custody with Fayaz has meanwhile been released. Other suspects in custody include three unnamed Maldivian men accused of hiring a Sri Lankan sniper to assassinate the president. The alleged sniper and the three Maldivians remain in custody with the criminal court approving extensions of remand detention. A police spokesperson said one of the three suspects was remanded for a further 15-day period on January 7. A second suspect’s remand expires on January 16. Four other unidentified suspects are also in custody in connection to the discovery of an improvised explosive device near the presidential palace in early November. Their remand detention was extended for a fifth time earlier this month. A couple were arrested in November during raids for weapons in Malé. Inthif Rauf’s detention has been extended, but his wife was released in December.